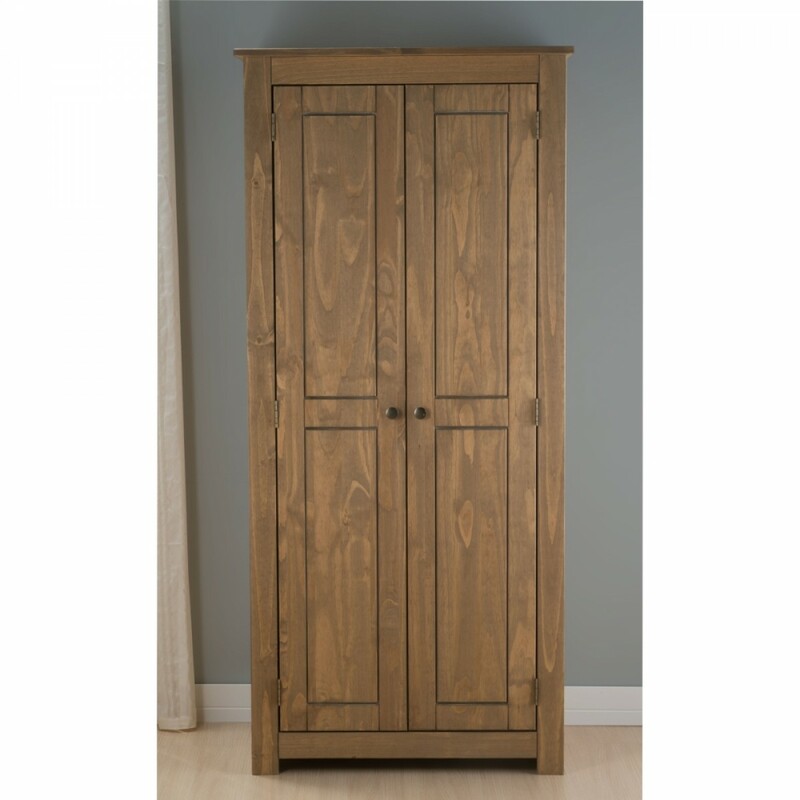 There are two santiago wardrobes available, this one which has 2 doors and a larger one with three doors. There is a large hanging rail space with a spacious storage shelf to the top. The doors feature magnetic clasps which hold the doors firmly closed. The product is part of the Santiago Pine Wooden Bedroom Furniture Collection.